An extraordinary and creative little girl attempts to comprehend the confusing adult world and prove her own value despite the lack of appreciation and love from her mother in late 1930s Europe. 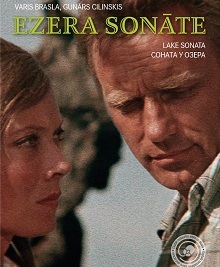 Confronted by her mother’s contempt for her, Bille >..
During the Soviet time the film “Four White Shirts” was known under the different, imposed by censorship, title “Breathe deeply …” It is a movie – phenomenon, because despite the fact that under the Soviets it was shelved and reached wider audience only twenty years after its completion >.. The legendary “The Child of Man” is a clear and bright movie about a boy’s childhood in countryside around the 1930-ties. A boy Bonifācijs Paulāns, nicknamed by his family Boņuks, has his own joys >.. In the 1920s, a resourceful man Edgars Ceplis establishes a joint-stock company that produces Latvian clay bricks for export. Number of people get involved in his venture, expecting the major profit promised by Mr. Ceplis, soon though >.. The final year of Word War I. A German army surgeon Ulrich is sent to inspect a remote convalescent home for shell-shocked patients. In the strange world he encounters reality appears as dreamlike vision and becomes too challenging >..
Loneliness, disillusionment and the experience of first love reveal the character of Raya, a 17-year-old living in rural Latvia with her grandmother and her little brother Robis. A staggering turn of events shakes up their lives >.. In the Fog (Russian: В тумане) is a 2012 drama film directed by Sergei Loznitsa. The film competed for the Palme d’Or at the 2012 Cannes Film Festival. The film won the Golden Apricot at the 2012 Yerevan International Film Festival, Armenia, for Best Feature Film. >..
A crazy quest for sanity. The personal story of a woman struggling with an inherited illness, as told by Signe Baumane, the Latvian director-animator living in New York City. With humour and courage, the director sets out on a challenging journey to discover >..
Modris is a regular 17-year-old with a girlfriend and few good pals at school. But addiction to gambling complicates his relationship with mother, especially, since she keeps on reminding her son >..
Geneva, Switzerland 1935. Europe is struggling to be united as one yet the Woodrow- Wilson’s idea of a united Europe by the means of the League of Nations is being enforced. American missionaries since the 1920’s are trying to introduce the Europeans with the new sport >..
“Mona” is a contemporary fairytale for adults about the ancient mystery of women, a deep but short-lived passion and human metamorphoses. A businessman from Riga arrives at his uncle´s funeral in a small Latvian village, a place virtually dependent on the slaughterhouse. >..
Jan, a guy in his twenties, and his friend Cracker, are involved in several crimes in their neglected suburb of the city. After meeting the “golden youth” beauty, Sabina, he looks for a fresh start in downtown circles >.. This film is about a small world found in the heart of Riga, and right in the middle of the Daugava River – Zaķusala (Rabbit Island) – a place that has preserved an ambience of another century. Janka lives on Zaķusala >..
A lonely architect quits his joyless office job and loveless relationships and takes the only chance to change his life. He decides to build a house in a gloomy forest and live there alone, away from his bygone failures. >.. It is Riga of the 1930ies. The educated but unemployed Olģerts Kurmis – literate in English, French and Latin – supports himself by doing odd jobs for the wealthy Mr. Kalnkāja, who hopes to be elected to Parliament. >..
12-year-old Raimonds tries to cover up a bad note at school and starts a spiral of lies, which spins out of control. He has to venture into Riga’s thrilling night-life to save his saxophone, his friendship and his face in front of his >..
Rūdolfs, a city physician, spends his summer in the countryside, which is where he meets Laura – a teacher and mother of two, and whose husband is in prison. Rūdolfs saves the life of Laura’s daughter, Zaiga, makes friends >.. 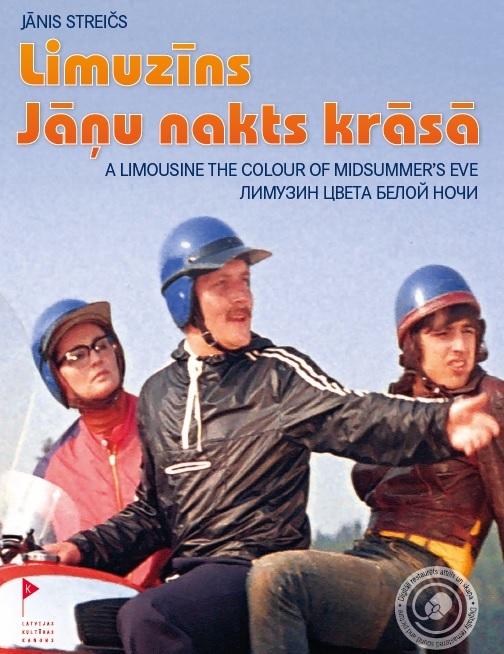 When Jānis Striečs film “A Limousine the Colour of Midsummer’s Eve” came out at the end of 1981, no one had any idea that several decades later it would still be so relevant, even acquiring new generations of fans and becoming eminently quotable! >.. In terms of social resonance, Vilis Lapenieks’ film The Fisherman’s Son has no equal. The film adaptation of Vilis Lācis’ popular novel was a national blockbuster and created such excitement that at its premiere on 2 January, 1940, the public at the Splendid Palace broke down the theatre’s doors. >.. 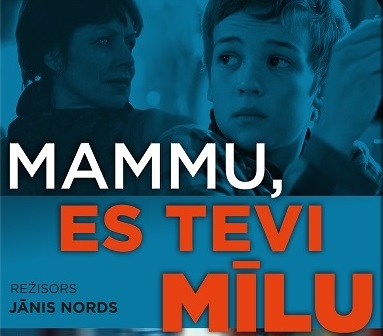 This film is Jānis Streics’ dedication to Blaumanis – a fantasy peopled by the characters from Skroderdienas in their youth; names have been changed and the time has been shifted to a later date. National consciousness awoke at the beginning of the 20th century >..
A small village on the Baltic coast. Three friends spend their summer days by drinking beer, killing time and picking up fights with neghboring villagers. One of them, Andzha, is trying to convince his girlfriend to marry him. The time seems endless, >.. Attempts to learn self-reliance in feelings and decisions lead to the collapse of the thirty years Beatrissa its illusions and wishes. Film tells the story of the Thirty Years Beatrisse (Reziya Kalnina), which is life “adrift”. She can not make their own decisions and lives in >..
A legendary folk hero, Tadas Blinda is a romantic rebel – the Lithuanian equivalent of Robin Hood. His name is an inspiration to young and old alike. The movie is a full-length adaptation of the legend of Tadas Blinda, and the action takes place in czarist Lithuania. >..
Hong Kong: one week in one of the most exotic and picturesque cities of the world. The movie follows six characters whose lives are all connected in one way or another. The day of changes comes when Amaya (Kaori Momoi) meets a charming Englishman, Paul. >.. Following a traumatic experience, Gaile, a speech therapist, is incapable of feeling any emotion. However, while preparing a video presentation for a scientific conference, she sees herself >..
After recovering from overseas mission Krists Lapins moves into a quiet neighborhood in Riga. His hopes for new, peaceful life are disrupted when an unexpected visitor arrives at night. Soon Lapins finds himself in a swirl of events >.. The unforgettable world of childhood in the pre-war independent Latvia seen trough the eyes of Janis Klidzejs, the author of the novel THE CHILD OF MAN, now living in emigration. This world is also close to Janis Streics, the film director who has adapted the novel for screen. >..
Full length feature movie “The Passengers” tells a day long story of a man, his wife, a young girl, a poet and a car driver who is supposed to take them around the city as long as they keep talking to each other. At the end the question remains >..
20 years after WWII former friends Ričards, Jānis and Antra, whose fates were irreversibly and tragically affected by the war, the need to choose sides, and by betrayal, meet again. With the present day interweaving with memories, their paths, experiences and convictions are revealed. >..
A story about friendship and love against the miraculous victory over the joint German-Russian forces ensuring the survival of the Republic of Latvia as an independent state in 1919.